TERMS OF BUSINESS CONDITIONS ROOMS agentura s.r.o. ROOMS agentura s.r.o. acts as the venue to connect those with vacancies with those seeking vacancies, and ROOMS agentura s.r.o. is only an intermediary. ROOMS agentura s.r.o. is not the landlord neither the owner of the real estates. 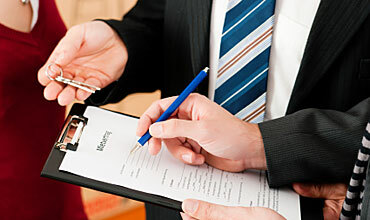 Each lease or sale must be specified in agreement concluded between the landlord and the tenant/the purchaser and the seller, and the responsibility for negotiating the content of and concluding a lease or purchase agreement is carried only by the landlord and the tenant/the purchaser and the seller. ROOMS agentura s.r.o. takes part at the negotiations of the lease/purchase agreement only as an intermediary in the lease/purchase of the real estate, it does not represent any of the parties and is not liable for the content of the agreement, its conclusion or its fulfillment by the contractual parties (by the tenant, the landlord/the purchaser, seller).The contractual conditions of any rental agreements resulting from our website and our agency services are strictly between the landlords and tenants. 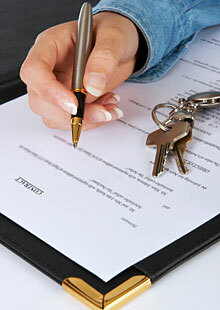 All agreements between landlords and tenants are the responsibility of the parties involved in that agreement. ROOMS agentura s.r.o. is not responsible for any disputes arising out of such agreements. A reservation equal to 1 month’s rent + 21 % VAT is required to make a confirmed booking. Reservation guarantees your interest and secures booking. After the payment has been received, the apartment is reserved and we will complete and send you a booking confirmation. From this point the apartment is not offered to other clients anymore and negotiation starts about the lease contract. After the lease opportunity is procured the above-mentioned reservation fee shall become a commission, which ROOMS agentura s.r.o. retains as a reward for lease opportunity procurement. After choosing your apartment – confirmation of reservation = payment of non-refundable reservation fee in amount of 15-20 % of whole accommodation price. The remaining amount of accommodation price needs to be paid in cash to landlord’s or residence’s representative. The booking reservation guarantees your arrival. After receiving your advanced payment, we will send you fix booking confirmation with offer for transfer from an airport or a main station. This will guarantee your booked apartment, on the term specified by you. If there are any unforeseen changes or problems with your reservation, we will automatically contact you first for your approval/instructions, before arranging a reservation for you and ask your agree with the new alternative. Cash against reservation agreement and receipt of payment. Bank transfer according proforma-invoice to the ROOMS agentura s.r.o. account No. In the event of cancellation the contract before sign from the side of the client, reservation fee will be returned only in amount of 20 % from advanced payment. The 80 % remains to ROOMS agentura s.r.o. for its services. COMMISION FEE for ROOMS agentura s.r.o. LIABILITY of ROOMS agentura s.r.o. The tenant/purchaser accepts that, unless explicitly advised in writing, ROOMS agentura s.r.o. is not the legal representative of any landlord/seller introduced to tenant/purchaser. ROOMS agentura s.r.o. shall not be liable for any direct, indirect or consequential loss which arises out or in connection with the accommodation or for any circumstances. ROOMS agentura s.r.o. will not pay compensation in these circumstances. ROOMS agentura s.r.o. is not liable for fulfillment of the lease/purchase agreement by the landlord, tenant/purchaser, seller. This term of business and standard conditions are governed by the laws of Czech Republic.